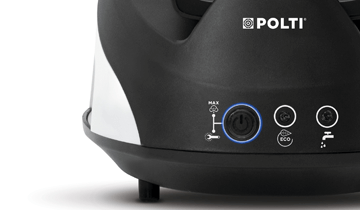 Steam generator iron with unlimited autonomy and a large separate tank for simple and quick ironing. Compared to a traditional iron, it guarantees excellent results in a very short time, thanks to its rapid heating in just 2 minutes and to the large 1.5 L detachable tank that can be filled any time. Its compact design ensures maximum ease of use. 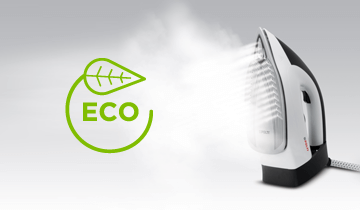 The powerful steam boost smoothes out difficult creases in one pass and with the ECO function you can reduce the consumption of electricity and water. Vaporella Simply: simply light and fast! 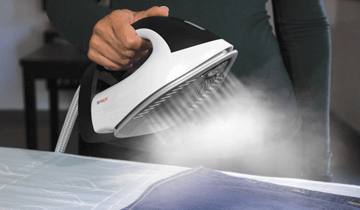 The 1.5 liter detachable tank allows you to deal with long ironing sessions without interruptions and with far fewer fillings than with a traditional iron. Easiness and performance in a single product. 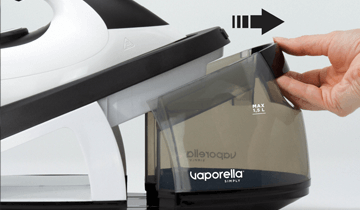 If you are looking for a quick and practical solution, Vaporella Simply is the product for you! Faster than a traditional iron thanks to the rapid heating time of just two minutes and the unlimited autonomy that allows you to fill the tank at any time, without interruption. Easy to store thanks to the compartment under the machine for the power cable and water hose and to the iron lock for easy transport. 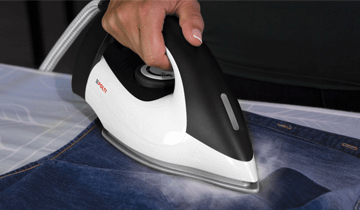 Double click the iron button to activate the powerful steam boost: the steam penetrates deeply into the fabrics and relaxes them easily, so you can simply and quickly iron even the most resistant and difficult creases. Also perfect for vertical ironing. Save energy and water without sacrificing performance. With the ECO function you guarantee a valuable reduction in consumption. Care for the environment. 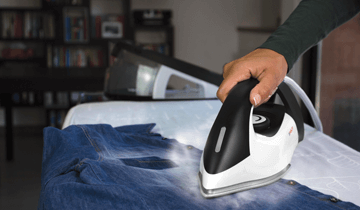 Vaporella Simply has a light iron that lets you iron clothes simply. Your clothes will be perfect and without creases, thanks to the anti-scratch ceramic soleplate with high smoothness and precision tip. The holes distributed at the tip and on the sides of the soleplate allow a uniform distribution of the steam. In addition, the iron parking allows you to stand it vertically so that you don't necessarily have to put the iron back on the machine. The Calc Cleaning cleaning system is very simple and lets you remove limescale easily, ensuring better steam output, better performance and durability.